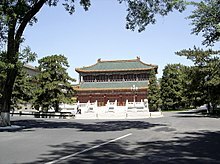 An official residence is the residence at which a nation's head of state, head of government, governor, religious leader, leaders of international organizations, or other senior figure officially resides. It may or may not be the same location where the individual conducts work-related functions or lives. *The provinces of Alberta, Saskatchewan, Ontario, and Quebec no longer have official residences for their lieutenant governors, but do provide them with accommodations; in the case of Ontario, only if necessary. None. The President uses own private residence. *In every state of the Mexico the Palacio de Gobierno, or Government Palace, was the official residence the governor, they are now maintained solely as the relevant governor's offices. Note that some mayors in cities with an official mayor's residence choose instead to reside at their private residence, using the official residence for official functions only. This has occurred in the 21st century in Detroit and New York City, although as of 2016[update] the mayors of both cities live in the official residences. In the case of Denver, no mayor has ever lived in the official residence; the city instead makes it available to certain non-profit groups for special functions. This section is reserved for official residences maintained by private, nongovernmental institutions. 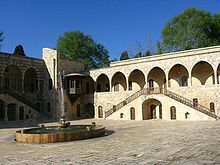 Residence of Zagulba - is the world's oldest presidential house and full-time residence of the President of Azerbaijan in Baku. Macau Government Headquarters was both the official residence and office for the Governor of Macau until 1999. - Cheong Wa Dae is the official presidential office and residence complex for the President of South Korea. - Its address is "1 Cheongwadae-ro, Jongro-gu, Seoul, Republic of Korea". It is located next to Gyeongbokgung, the main palace during the Joseon Dynasty. - Cheong Nam Dae used to be one of the two vacation residences for the President of Republic of Korea. It was returned to public in 2003. - It is located in Cheongwon-gun, North Chungcheong Province. - Cheong Hae Dae used to be one of the two vacation residences for the President of Republic of Korea. Although the president no longer uses this facility this compound is still under the administration of the Republic of Korea Navy, and thus is not open to public access. - It is located on one of the islands of Geoje-shi, South Gyeongsang Province. - This is the official residence for the Prime Minister of Republic of Korea. The Prime Minister, however, does not work here. - Its address is "111-2 Samcheongdong-gil, Jongro-gu, Seoul, Republic of Korea". It is located close to Cheong Wa Dae. - This is the official residence for the Speaker of the National Assembly of Republic of Korea. The Speaker, also, does not work here. - It is located in Hannam-dong, Yongsan-gu, Seoul, where many foreign missions to Korea are located. - This is the official residence for the Chief Justice of Republic of Korea. The Chief Justice, also, does not work here. - It is also located in Hannam-dong, Yongsan-gu, Seoul. Most ministers of state and heads of administrative regions also have official residences, although they are not listed here. Hofburg Neue Burg section, seen from Heldenplatz. Presidential Palace in Kadriorg, Tallinn. ^ Cameroon, Unity Palace. "The Presidential Residence". All About the PRC. ^ "National Capital Commission: Harrington Lake". Archived from the original on 2007-12-10. Retrieved 2007-08-16. ^ "National Capital Commission: Stornoway". Archived from the original on 2008-01-01. Retrieved 2007-08-16. ^ "National Capital Commission: The Farm". Archived from the original on 2007-06-25. Retrieved 2007-08-16. ^ "National Capital Commission: 7 Rideau Gate". Archived from the original on 2007-12-10. Retrieved 2007-08-16. ^ Schevitz, Tanya; Wallack, Todd (November 14, 2005). "Free mansions for people of means: UC system spends about US$1 million yearly on upkeep". San Francisco Chronicle. p. A9. ^ See University of California Policy 2.725, "University-Provided Housing," 1 August 2009, 2, and University of California Business and Finance Bulletin G-45, "Implementing Requirements on Expenses Incurred in Support of Official Responsibilities of the President and Chancellors," 20 May 2008, 2. ^ "Campus Guide: Maxwell Place". University of Kentucky. July 22, 2012. ^ Elson, Martha (October 29, 2015). "UofL owns Highlands mansion, but nobody's home". The Courier-Journal. Retrieved October 31, 2015. The house is not currently used as a full-time residence. Current university president James Ramsey was not required to live in the house upon becoming president in 2002 because he was hired from the university's faculty and already owned a home in the area. During his tenure, he has used the house mainly for fundraisers and other university events, and has used a carriage house on the property for smaller events and as lodging for university guests. ^ "Welcome to Eastcliff". University of Minnesota. Archived from the original on November 27, 2013. Retrieved March 16, 2014. ^ "Gov. Christie's office rebuts helicopter story". USA Today. Retrieved January 25, 2017. ^ Bolt, Greg (September 28, 2009). "Top Duck's old roost renovated: McMorran House is more than UO president's home". The Register-Guard. p. A1. ^ "Historic Campus: The President's House". The College of William & Mary. Retrieved February 9, 2013. ^ "Olin House / Chancellor's Residence". University of Wisconsin - Madison. Retrieved March 16, 2014. ^ "UWM's new chancellor's mansion will help woo donors". Milwaukee Journal Sentinel. Retrieved March 16, 2014. ^ Beth Potter. Lonely Planet Georgia, Armenia and Azerbaijan. Lonely Planet Publications. p. 218. Wikimedia Commons has media related to Official residences. This page was last edited on 10 April 2019, at 17:36 (UTC).